'The temptation of governments to have a finger in the RBI pie will be just too great to resist, unless extensive amendments are carried out in the RBI Act treating it almost as the fourth branch of the government,' says B S Raghavan, the distinguished civil servant. It has never happened in the long eight-decades-old history of the Reserve Bank of India, or, for that matter, in the history of any central bank anywhere in the world. The RBI was established in 1935 on the avoidable date of April 1, pursuant to the Reserve Bank of India Act, 1934. Since the Act was passed during the colonial period, the RBI, as a private 'body corporate' was taken to be the appendage, and under the tutelage, of the Bank of England and the British Treasury. As a corollary of this remote control, the government reserved to itself the power to have the final say by incorporating in the law the right to give directions to the Bank on any matter it thought fit as also to appoint and remove the Governor and the Central and Local Boards of Directors at will. In delineating the function also, it gave the Bank a constricted role without entrusting it in explicit terms with responsibilities (other than issuing and administering the circulation of the currency) which are commonly assumed to fall within the purview of central banks: Formulating and implementing monetary policy; maintaining payment and settlement system, managing foreign reserves; acting as banker to the government, and being a player on the international financial stage. Contrast this with the US Act of 1913 under which the Federal Reserve enjoys a comprehensive mandate to 'maintain long run growth of the monetary and credit aggregates commensurate with the economy's long run potential to increase production, so as to promote effectively the goals of maximum employment, stable prices, and moderate long-term interest rates,' besides performing other familiar services such as 'furnishing' an elastic currency, rediscounting commercial paper, and establishing an effective supervision of the country's banking system. The RBI Act came into effect at the same time as the Government of India Act, 1935. Although notionally the central and provincial governments, and the legislative, executive and the judiciary branches, had their separately designated jurisdictions, for all practical purposes, British India was governed as a single administrative entity subject to the fiat of the secretary of state for India, the viceroy (governor-general) and provincial governors. In such a dispensation, no institution, not the least the RBI, could take exception to its being treated as a sidekick of the government. After Independence, with the nationalisation of the RBI in 1948, followed by the adoption of the new Constitution in 1949, the emergence of India as a Republic in 1950, and the ushering in of parliamentary system of democracy, the functions of the RBI could not escape spilling over into areas beyond what were strictly pertaining to a central bank. Thus, the RBI, in addition to looking after the monetary part of the economy, regulating and supervising the financial system, managing the foreign exchange and being the lender of the last resort, had perforce to undertake a number of developmental and promotional activities in line with government policies aimed at creating a welfare state. The RBI has also been under relentless pressure to ensure adequate credit flows to what the government regards as priority productive sectors. Aligning its monetary prescriptions to the government's interests and goals has necessarily entailed stepping out of the four corners of its charter. It already had had to assume full ownership of the National Housing Bank and the National Bank for Agriculture and Rural Development, with neither of which it should be ordinarily concerned. It has to take upon itself the control and supervision of all kinds of banking and non-banking financial companies and the manner of use of their assets. In effect, it could not avoid being, sometimes an agent, sometimes a collaborator, sometimes the escape-latch and the lightning rod, of the government of the day, and, in the bargain, has had to soft-pedal its own decided views on issues and problems affecting the economy. The end result is the blurring of the boundaries of monetary and fiscal domains, and this miasma of a mishmash has had the effect of whittling down the RBI's credentials as a pure monetary authority. Actually, it has every right to be regarded on a par with the other three branches of the government, with a mandate to lay down its own priorities and frame its own independent policies immune from the transient compulsions of competitive electoral politics. This calls for nothing less than a radical revamping of the RBI so as to restore to it the primacy that is its due as the guardian of the monetary aspects of economic management. The imperative need for immediate reform arises on three substantive arguments. The first is that the RBI has had to spread itself too thin just in order to pull the government's chestnuts out of the fire. There is also a fear that it is allowing itself to be used as a trouble-shooter on the fiscal front, instead of being an assertive prime mover in proactively putting in place an appropriate monetary framework and testing and monitoring its effectiveness from time to time. It is seen as having gradually slid into the position of an advisor, whereas it was meant to be an autonomous arbiter in its capacity as the supreme monetary authority. Second, the RBI's constitution and complexion date back to the times when the British parliament and the colonial government were all powerful and all pervasive, reducing the RBI to a mere issuer of notes and coins and supervisor of banking and currency operations. Conceptual distinctions such as between autonomy and subservience, federal and unitary, fiscal and monetary, were not the subject matter of contention in official circles or public forums in those times. Now, India is a federal polity, in which the Centre and states have their own bounds determined by the Constitution. In the context of the stages and pace of development, the budgetary profiles and the financial resources differing from state to state, it is a moot question whether the RBI is sufficiently equipped to provide solutions to fit these differences. Third, functional and operational independence to formulate and implement policies attuned to particular scenarios, without being buffeted by political winds, is essential in its own right in the case of an organisation like the RBI. 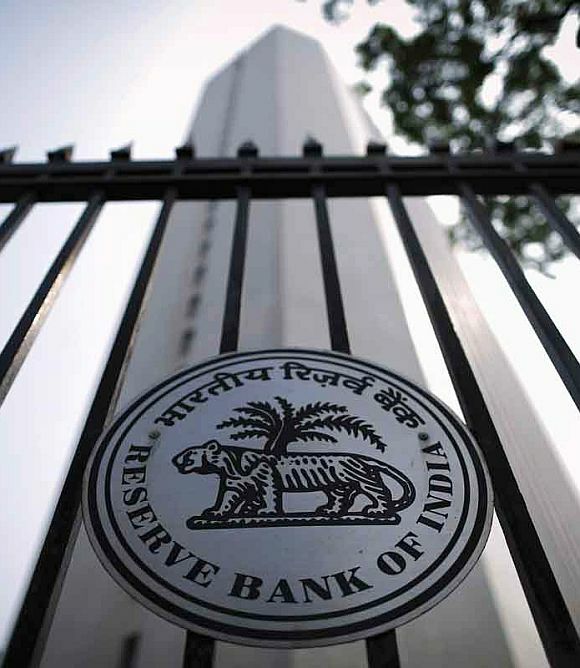 There has not so far been any serious attention paid to these issues, nor had they intruded themselves into public consciousness, because in respect of all the vital indicators such as inflation, prices, investment flows, balance of payments, foreign exchange reserve management the RBI, in close concert with the government, has continued to maintain an impressive record of holding its own in a state of dynamic equilibrium with the government without compromising its professional integrity. Except on very rare occasions in the distant past, the relations between the RBI governors and his colleagues on the one hand and the finance minister and his aides on the other had almost invariably contributed to the forging of mutually acceptable approaches. Of considerable help in hammering out a consensus has been the high calibre, public-spiritedness and mastery of the complexities and intricacies of the economy of the main actors on both sides. The easy rapport between the two has enabled the Bank to diversify and expand its role without the need of any amendments to the RBI Act. Till the NDA government under Prime Minister Narendra Modi took charge, and before it launched the mammoth operation of demonetisation it enjoyed a high credibility in respect of its authority and effectiveness. The problem with the RBI's present-day functioning is that without taking account of the rise in India's stature as a global economic player and its financial stakes assuming humongous and complex proportions, things were left to happenstance and temperaments of individual governors. The temptation of governments, cutting across party affiliations, to have a finger in the RBI pie will be just too great to resist, unless extensive amendments are carried out in the RBI Act treating it almost as the fourth branch of the government, on the lines of the Federal Reserve of the USA and the central banks of Britain or Germany. No government would wittingly give up its right of having the final say. It is for the incumbent governor and governor of the RBI and the United Forum of Reserve Bank Officers and Employees, economists, financial experts and civil society organisations to join hands and mount relentless pressure on the government to revamp the RBI to enable it to plays its role without fear or favour, without pandering to political compulsions and without succumbing to political pressures. This has become all the more compelling in view of the emergence of powerful economic interests in the form of multinationals or dominant domestic corporates and their large stakes in capital markets, and the operation of powerful influences and vested interests bearing on the executive wing of government. B S Raghavan, a retired officer of the Indian Administrative Service, was also an international civil servant in the Uniten Nations (FAO), with a long record of being a columnist for 30 years writing on public issues of national importance.